JAMES Yap moved one triple shy of tying Dondon Hontiveros for fourth place in most career three-pointers made after he converted one in Rain or Shine’s Game One victory over Magnolia in the PBA Philippine Cup semifinals. Yap, however, is more concerned about his shooting performance on Friday, rather than all-time records following an off-night for the two-time PBA Most Valuable Player. In his first semifinal match against his former team, Yap was cold from the field all game, hitting only three of his 15 shots including a 1-of-6 clip from beyond the arc in the Elastopainters’ 84-77 win over the Hotshots in the series opener. 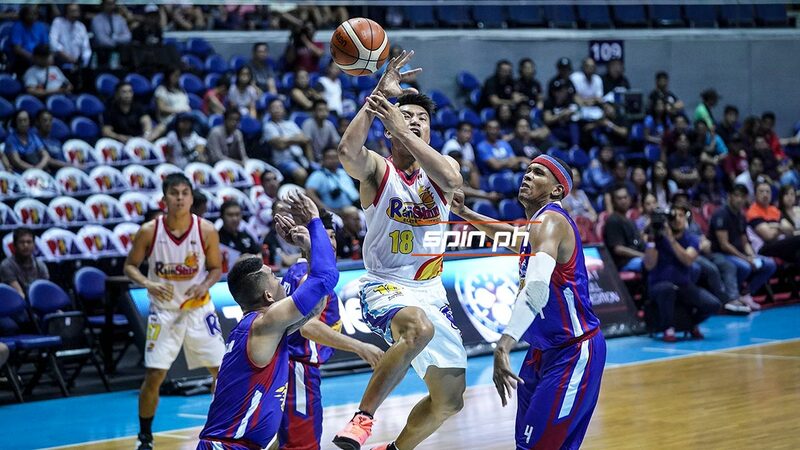 Rain or Shine was a combined 9-of-37 from three-point country, but Yap said the Elastopainters made up for it by playing good defense that led to a seven-point victory in the semifinals opener. “Masaya kami dahil team effort, team defense. Nag-uusap kami sa loob. Kaya siguro kami nanalo dahil sa defense,” said Yap. While he credited defense to the win, Yap said he would want to atone for his shooting woes in the coming game as Rain or Shine looks to sustain its lead in the series. He added it takes a short memory to bounce back. “Let it fly,” said Yap, when asked what he plans to do to improve on his shooting. “Ma-shoot, eh di maganda. Pag hindi, try uli. Kapag series, let’s say may bad shooting night. Wag mo na isipin at bawi na lang next game. The more na iisipin, the more na makakasira,” said Yap.